Book your Eye Exam Now! 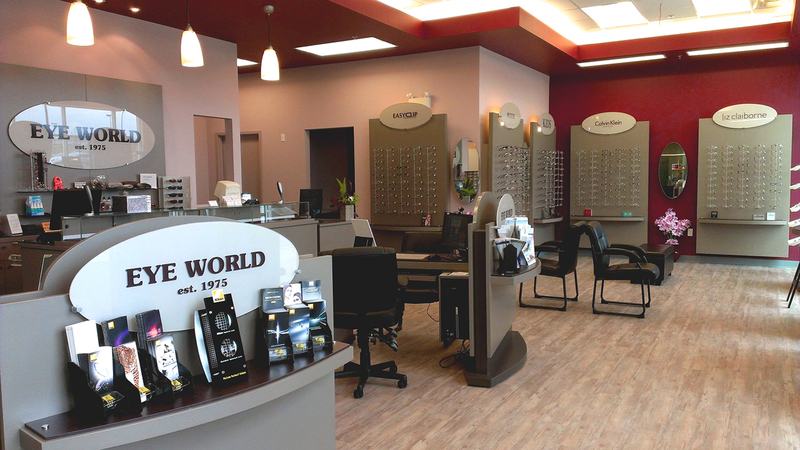 Eye World has been serving the residents of Dartmouth for over 40 years. Both at our first home in Mic Mac Mall and now at our newer location on Baker Drive in Dartmouth. Eye world if locally and family owned. Eyeglasses and frames can be a stylish accessory for those that require them, but its the health of your eyes and vision that comes first. Whether you’re new to Dartmouth, Eastern Passage or Cole Harbour area and need an Optometrist, or you’re looking for a new place to have your Eye Exams conducted and prescription filled, we’re here to help! Not only is it important to have an Optometrist perform a detailed eye examination once every two years to keep your prescription up to date, but it’s also a key factor in ensuring you stay on top of your eye health. Our Optometrist, Dr. Amanda Torres, provides full family eye care to children, adults and seniors alike Whether it’s a regular eye exam to purchase new glasses or contact lenses, or if you need a more in-depth eye examination for bifocals or progressive lenses we can help. You can call us today at (902) 465-4979 or request an eye exam appointment online using this form. Whether it’s a checkup for a new glasses or contacts prescription or you want to ensure your eye health is doing fine. You can book an examination at our Baker Drive, Dartmouth location by calling (902) 465-4979 or submitting the form here. Top Frame brands for quality and style. These guys are amazing!!!! I went to them first 14 years ago when they were in Mic Mac Mall. They were absolutely amazing then and to this day. I will return again soon. Greg & the Eye World team have always taken care of my husband, Merv, & I for all of our eye care needs. They are very professional, always pleasant, & stand behind the products they sell. Eye exams for the whole family. New prescription for glasses and contacts or bifocals and progressive lenses. Book your appointment today by calling (902) 465-4979 or use this form today. Flexible hours and appointments six days a week for contact lens fittings, eye exams or just to browse our wide selection of designer and quality frames. See our areas served page. Our service comes with a smile! We know it's cheesy, but we're a small family owned business and we aim to please. Our staff has all been with us a long time and we promise to provide you with exception service and a great experience!